Are you a Amazon shopper? Now days just about everyone enjoys being able to shop from home. It means we do not have to run from store to store, nor have the aching feet from a long day of shopping. We can simply hop online while sitting in our pj’s and enjoying our cup of coffee. While there are many retailers that are available for online shopping, Amazon is one of the largest. There is just about anything you could want available on Amazon. But did you know there are ways you can save on Amazon? Check out our top five tips on how to save on Amazon. Each day Amazon has two to three one day only deals. Many times they are items that are deeply discounted for just that day. They can sell out of an item within the day and replace it with another Gold Box deal of the day. It is a great place to check each day to see what they have available. Lightning deals are items that Amazon lines up for the day. There are new items every 30 minutes or so. You can normally see that days list of items early in the morning. Sometimes you can even see them the night before, but Amazon has changed them up by the next day before. When you look at the list for the day, it will not tell you the price that the item will drop to. It will just tell you the item and the time the sale will start. That gives you a chance to be ready if it is a item you are looking for. Hot deals can go super fast, so you will need to be ready to pounce when the deal is live. One of the big ways to save on Amazon is by shopping the outlet. There you will often find deeply discounted items. Some may be items that are being discontinued, but you can also find newer items from time to time too. As with any store you shop, there is almost always a clearance/open box return area. By shopping these areas you can get great items for just a fraction of the price. Amazon just so happens to have one of those sections too. This is one area I love to save on Amazon! They keep up with hot selling items from all over Amazon. So if you check this a few times of day, you will almost always find a great deal to snag. It is almost like letting everyone else do the deal searching for you. When they find a deal, lots will buy it and then it is triggered to show up on the Movers & Shakers list. Then you can click on the item and quickly snag it before the price goes back up. 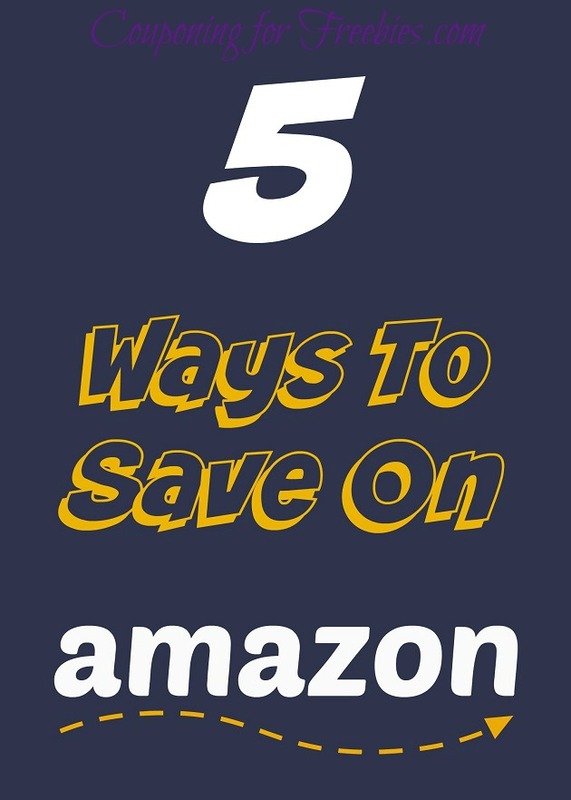 That is my top five tips on how to save on Amazon. Have you found a way that you use, that saves you money on Amazon? If so, we would love for you to share in the comments.